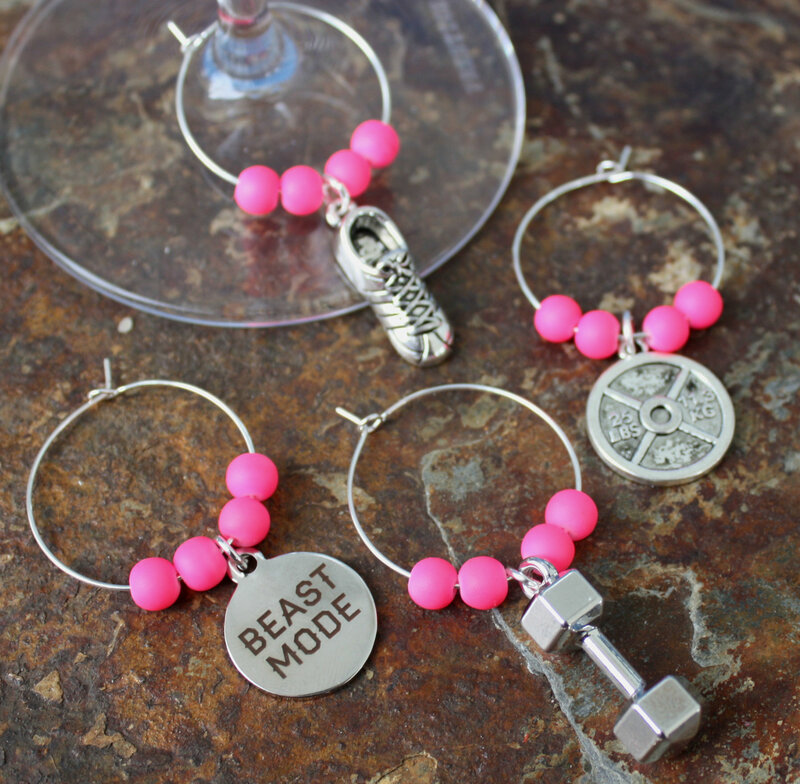 Show your love for working out with these unique wine charms. 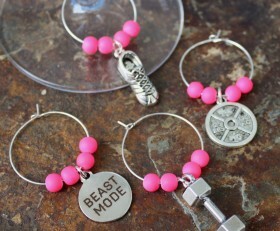 The charms include a sneaker, a dumbbell, kettle bell and beast mode charm. You can also choose your bead colors. Categories: New, Wine Charms, Working Out.